0. A datejime is used for making and maintaining a beautiful kimono figure/line. It is worn at the point of the process just after a nagajyuban has been worn, and/or a kimono(nagagi) has been worn. 1. 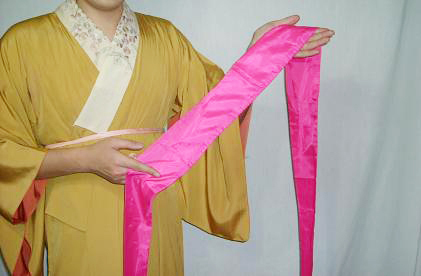 Wrap a datejime around your waist over a koshihimo sash. 3. Tie a datejime on the front of your body and hide the knot under the datejime, finished.